When people think of remodeling, they frequently picture contractors coming into their home, making a mess, cleaning it up and leaving. 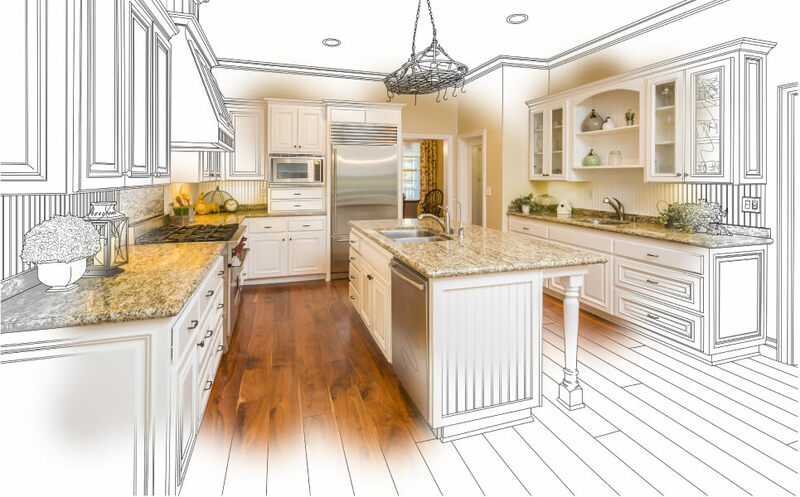 While that’s the basic overview, the remodeling process at AM Kitchen & Bath is much more in-depth. Quality home remodeling starts with a professional, hardworking team that will guide your project every step of the way. We understand that remodeling is rough and we are here to help with honesty and transparency. Each member of our team and qualified build crew are dedicated to completing your remodel on time and in budget. Our team keeps you in-the-know on your remodeling progress. Having a realistic idea about home remodeling is essential. Simply put, remodeling is stressful. You’re out of your element for weeks at a time. Your daily routine is interrupted, but we strive to make the process as comfortable as possible. We thoroughly explain the remodeling process upfront and utilize a well-defined schedule so you know what to expect. We also provide support to help put our customers at ease. Think of AM Kitchen & Bath as an extension of your family. We are here for you. Our team wants to assure our customers that we’re going to make the remodeling process as efficient and enjoyable as we can. Despite the dust, dirt and stress that come along with remodeling, it’s all worth it in the end. AM Kitchen & Bath is here to help make your dream home a reality. Your residential remodeling project will begin with a consultation with our creative and experienced design staff. We will schedule an appointment to see your space and start the dialog about an exciting and successful remodel. We will get to know you and your style, hear your ideas and help you to start visualizing what your space could be. Within the next week or two, depending on the scope and complexity of your project, we will have a remodeling proposal prepared. We will sit down with you to go over the proposal, explain our thoughts and ideas, and answer questions you may have about your remodel. Once you decide to move forward with us as your trusted design and remodeling partner we will set your project into motion with a signed contract, collect the deposit and explain the process of what’s to come. We will give you a tentative schedule, leave you with a bit of homework and schedule your pre-construction meeting. After the paperwork, we will introduce you to your Project Manager. They will act as your point of contact for the remainder of the remodeling project. Your Project manager and Design Consultant will meet you on-site, discuss the specifics of your project and finalize an action plan. Now it’s time for your homework. It starts with selecting your cabinets, fixtures, colors, tile, paint, and other materials. We will make an itemized list of what your space needs, as well as your allowances to help you stay on budget. Choosing the perfect materials and fixtures is crucial to the design process and essential to keeping your project on schedule. Materials can be purchased from our preferred vendors or from your predetermined specialty vendors. We will take you shopping in our showroom, our preferred vendors’ showrooms, through the pages of catalogs or on the internet, whichever suits your style and schedule. Once you have selected your materials, we will begin ordering supplies so that everything is ready for the start of your project. Communication is key to every successful remodeling project! We will be in touch regularly so that you can plan accordingly. We’ll work with you to determine the morning start time and prep your home for demolition. We go above and beyond to minimize the disturbance remodeling makes to your life and home. Remodeling can be messy, but we will do everything possible to minimize the impact on your home. Our team will lay tarps and wall off the spaces we are remodeling. This helps protect the rest of your home from dust and debris. We utilize BuildClean Hepa air scrubbers during the demolition process. BuildClean dramatically reduces airborne jobsite dust by drawing air in, passing it through a series of filters and returning the “scrubbed” air back into the space. We will continue to update you frequently about the status of your project. We want to do everything possible to ensure that the interruption of your daily life is kept to an absolute minimum. Welcome to your dream home! Congratulations! Your newly remodeled space awaits. We stand behind our work and take pride in our attention detail and unmatched customer service. We are here for you before, during, and well after your remodel. Our entire team is dedicated to you before, during and well after your remodel. If you ever have any questions or concerns, we are only a click or call away.